Whenever a hurricane threatens the U.S. or our close neighbors, we look to the National Hurricane Center for predictions of where it will go and how strong it will be, predictions based on techniques and models developed by experts in places like Miami, New Orleans, Charleston, and State College. Wait, what? Hurricane experts in State College? Despite our location deep inland, Penn State is home to a robust group of researchers who specialize in the study of the tropical systems that give rise to monsoons, El Niño,—and hurricanes. Professor Jenni Evans explores how powerful storms like Hurricanes Sandy and Matthew evolve, to improve the accuracy of forecasts and warning times. She uses ensemble forecasting to consider how slight differences in initial conditions might affect the path a hurricane takes, and helped pioneer a method called path clustering that narrows the dozens of possible outcomes to a handful that are most likely. Her work has been featured on an NSF/NBC video series, When Nature Strikes. Models are only as good as the data that goes into them, and when it comes to hurricanes, much of the data comes from “hurricane hunter” planes that fly right into the eye of the storm and gather information about windspeed, air pressure, temperature, and other aspects of the storm—sometimes more information than the models can handle. Professor Fuqing Zhang and research associate Yonghui Weng developed a way to incorporate more data from the hurricane hunters into predictions of hurricane behavior. They tested their method by “hindcasting” the intensity and path of 23 hurricanes that occurred between 2008 and 2012. Then they tested it in real-time forecasts with 11 storms in 2013. Their method improved predictions of the storms’ intensity by up to 15 percent over previous methods, an advance that could save lives and reduce damage to property. Zhang has also worked on how data from a satellite to better understand hurricane behavior. Satellites have advantages over hunter planes: They’re always in place, they can “see” hurricanes that are beyond flight range, and they don’t endanger the lives of pilots. However, they can’t gather the same kinds of data that can be collected from inside the storm. 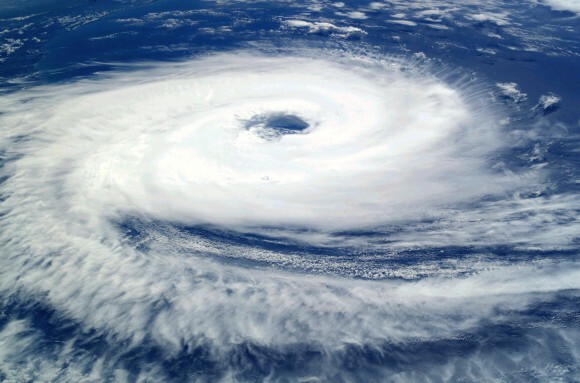 Zhang and Professor Eugene Clothiaux recently completed a proof-of-concept experiment using satellite measurements of “brightness temperature,” which indicates how much radiation of various frequencies is emitted by clouds and water vapor, to learn more about the physical structure of hurricanes. The data was provided by GOES-13, a precursor to GOES-R, a geostationary satellite that will be launched this month. All that expertise attracts top students, too. It brought Erin Munsell here for her doctoral work. She’s been enthralled with hurricanes since she first heard of them at age 5. Last year, she and fellow Penn State students Christopher Melhauser and Ben Green worked on NASA’s first project using Global Hawk, a drone, to collect data from inside hurricanes. Their team won NASA’s Group Achievement Award for 2015. Munsell graduated with her Ph.D. this summer and is continuing her fascination with hurricanes as a postdoctoral scholar—at Penn State.